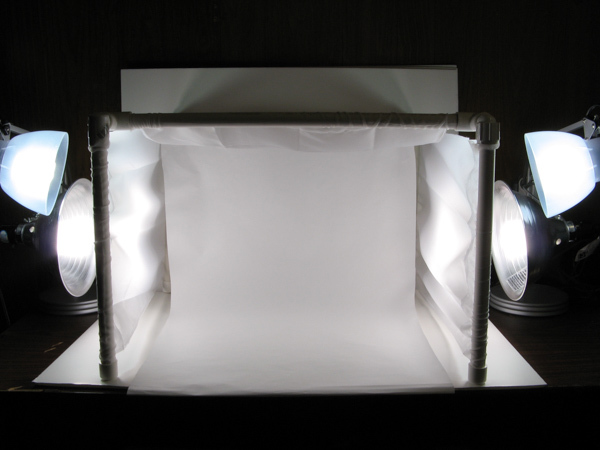 Learn how to make a photo light tent to take great photos of your jewelry. This is the same tabletop photo studio that I use for all my jewelry photos. 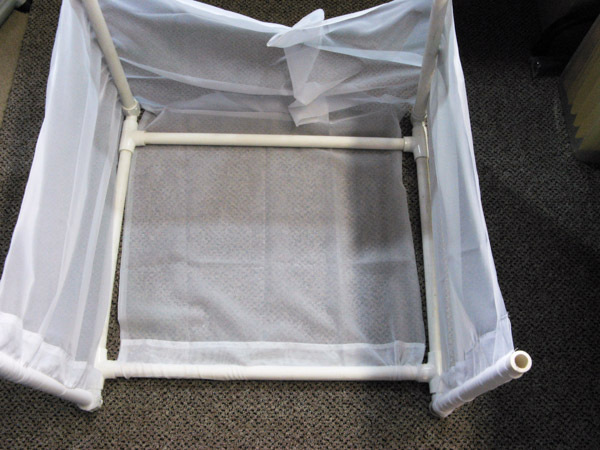 It's low cost and easy to make. I've tried other light tents but this works the best. Step 1: I went to my local hardware store and had them cut the PVC for me. 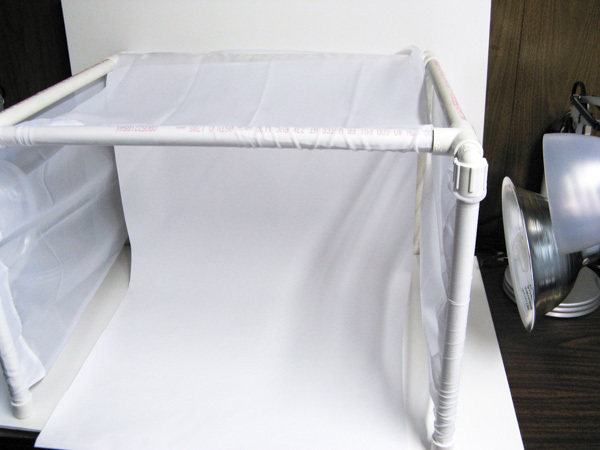 If you want to glue your light box together you will also need a can of PVC cement. Assemble everything together first before you glue anything. My photo light tent stays together without glue...it's a pretty tight fit. Step 2: Assemble the top first. 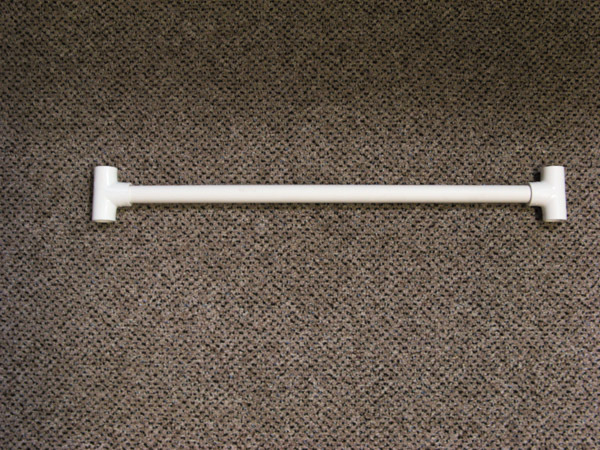 Take one 20" length and fit a tee on each end as shown. Step 3: Fit two 15" lengths into the tees. 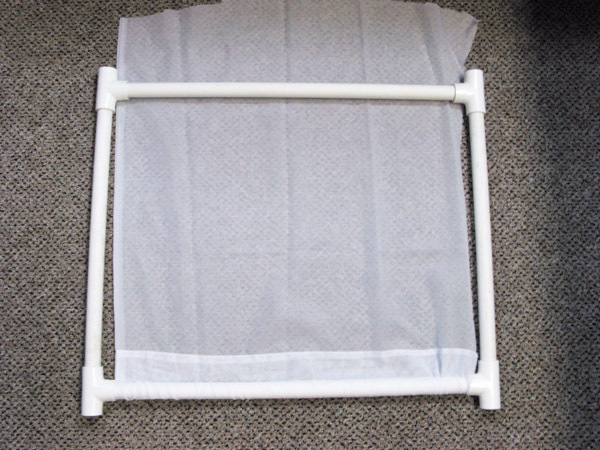 Step 4: Cut a 19" wide piece of the white door panel curtain and slide it onto the remaining 20" length of PVC. 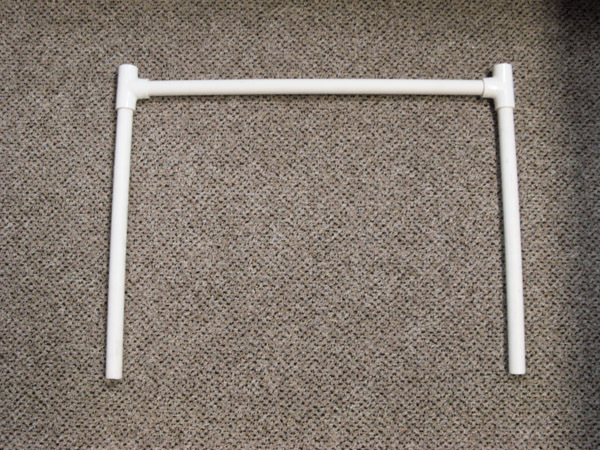 Fit this 20" length into the tees to complete the top of the light tent. 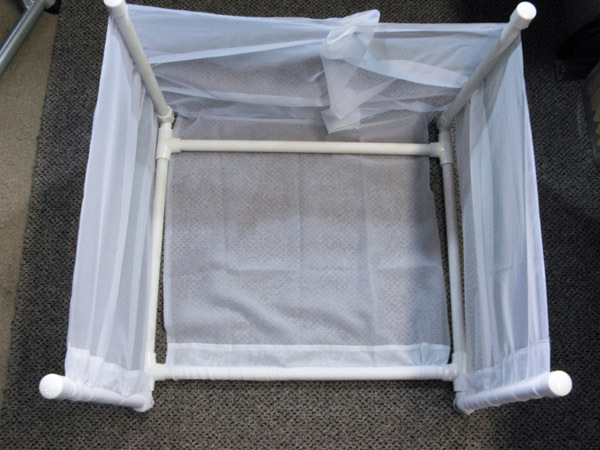 You can trim the excess material and sew it but I just draped mine over the back of the light tent. Step 5: Fit one elbow into each of the four tees. Step 6: Fit the four 14" lengths into the elbows. These are the legs. Step 7: Cut a 14" wide piece of the white door panel curtain and slide it onto the front legs of the light box. 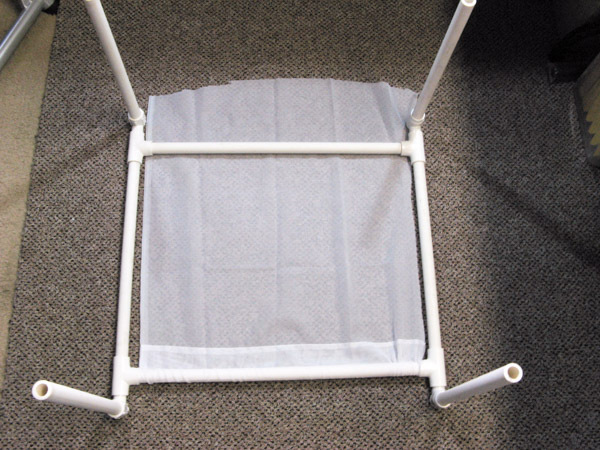 Gather the excess material and pin it together at the back of the light tent. If you have a sewing machine you can sew it together instead of pinning it. Step 8: Fit the four caps onto the four legs. Flip your light tent over. Step 9: Put a piece of white foam board on the table top and one on the wall behind the light tent. Tape the white backdrop up as shown and tuck the front under the white foam board. Step 10: For lighting I use two clamp lights I bought at Home Depot, and two desk lamps I bought from Wal-Mart. I’ve tried lots of different bulbs from halogens that get really hot to soft white bulbs. But they all seemed too yellow to me. The ones I use now are from Home Depot. They are made by Commercial Electric. They are a clean, white light that simulates natural daylight. I have them in two different sizes because my desk lamps cannot handle the bigger bulb. If you have something to clamp your clamp lights onto you can skip the desk lamps and just get four clamp lights. To get the lighting just right on a piece of jewelry you need to be able to move the lights closer or farther away. With this light set up I don’t have too much of a shadow. To avoid any shadows, you can get another clamp light and shine it down from the top of your photo light tent. I hope this tutorial gets you on your way to better and faster jewelry photos. 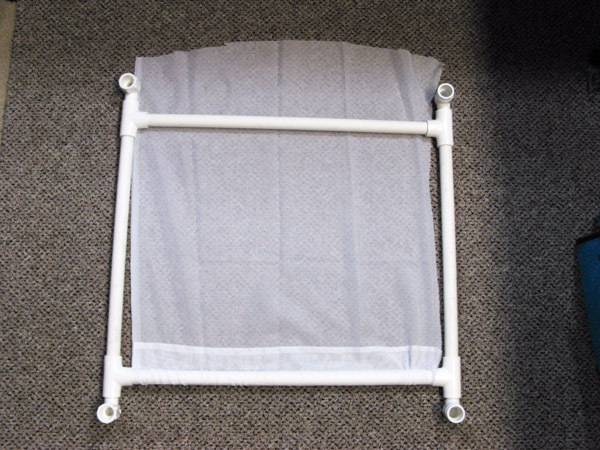 You can make your photo light tent bigger or smaller or you can get fancy with the corner pieces. 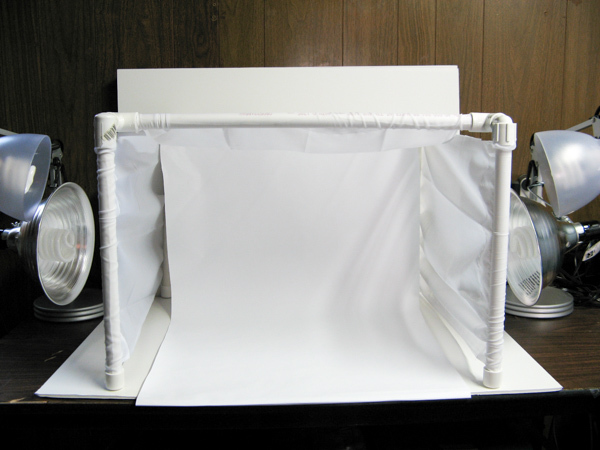 This is a basic tabletop photo studio to get you started.